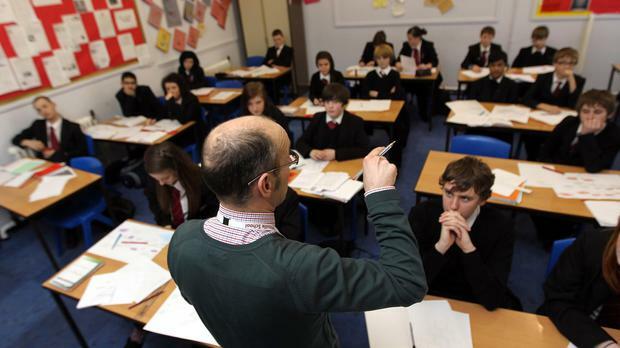 Roman Catholics are significantly over-represented among trainee primary teachers, a new survey has found. A study by the School of Education at NUI Galway found that 90pc of respondents who entered primary teacher education programmes across Ireland represented as Roman Catholic. That compares with 78pc of the general population. Since 96pc of State primary schools in Ireland are denominational, considering religious diversity in teaching is both critically important and a complex undertaking, according to the study. The study is the first of its kind in Ireland exploring the religious affiliations and religiosity of applicants and entrants to undergraduate primary Initial Teacher Education (ITE) programmes in the country. The research, published this week in the 'European Journal of Teacher Education', also found that one-third of respondents rarely or never attend religious services or practice their religion. More than half, 58pc, considered themselves 'a religious person', while less than 2pc considered themselves 'a convinced atheist'. Lead author of the study Dr Manuela Heinz said: "We are hoping that this research will trigger more thinking about the characteristics and qualities we are looking for in teachers." The authors warned that the prospect of entering a university course and profession permeated by a religious, predominantly Catholic ethos, will cause conflict between personal beliefs and professional requirements for many entrants. They fear this would most likely deter some highly motivated and suitable individuals who are atheist or non-practicing Catholics or those from a minority background from pursuing a career in primary teaching. The research found Catholic religious instruction received little support, even from Catholic ITE applicants, with those from other or no religious backgrounds generally expressing moderate levels of disagreement. In contrast, all respondents, from Catholic, other religious, and non-religious backgrounds, were strongly in favour of teaching children about all faiths, world views and religions. The study noted a high non-response rate of 25pc when asked to express their feelings about teaching religion. This "may indicate that a significant proportion of ITE applicants were reluctant or felt uncomfortable to disclose their personal thoughts regarding the requirement for primary teachers to teach religion", said Dr Heinz. It also warns that those who come from other or no religious background may experience significant difficulties throughout their careers due to tensions between their personal and professional lives. It suggests that it is time to ask whether it is fair to put individuals who are committed to the education of children in this situation.